11:33 AMContrary to what the internet said in a Thursday night Instagram post, the North Carolina A&T football team didn’t turn down an invitation to visit the White House. The school and the team never got an invitation to turn down in the first place. “I am not aware of an official invite from the White House to the football team,” according to N.C. A&T sports information director Brian Holloway. Just-retired football coach Rod Broadway also told The Undefeated that he knows nothing of an invitation and has nothing further to say on the matter. S0me folks might have thought an invitation was issued after the undefeated Aggies’ 12-0 season and Celebration Bowl win over Grambling State in December. In November, 18 different NCAA championship teams visited the White House. Both the men’s and women’s NCAA basketball champions, the North Carolina men’s team and South Carolina’s women’s squad, declined. 7:03 PMNow that you know the NBA All-Star starters, who else will be joining them in Los Angeles? There are seven reserve roster spots each in the Western and Eastern Conference, which include three frontcourt players, two guards and two wild cards. 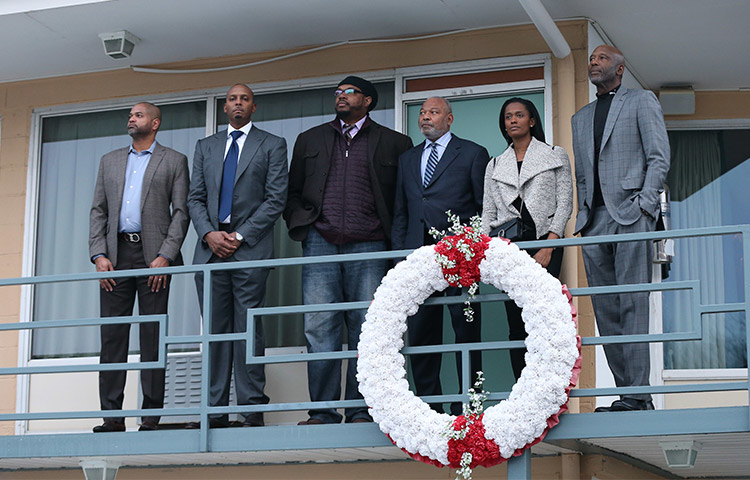 The NBA head coaches will vote for the reserves in their respective conferences next week. The reserves will be announced on Jan. 23 to applause and criticism. It’s inevitable, especially in the deep-in-talent West, that some deserving players won’t make the cut. For the first time in NBA All-Star Game history, the leading fan vote-getters from each conference (Cleveland’s LeBron James in the East and Golden State’s Stephen Curry in the West) will serve as captains and draft players for their teams, regardless of conference. Each captain’s first four selections must come from the pool of remaining starters. As the top overall finisher in fan voting, James will make the first pick, then Curry. The All-Star Game takes place Feb. 18 at Staples Center. The West starters announced Thursday: Curry and his Golden State teammate Kevin Durant, Houston’s James Harden, and New Orleans’ Anthony Davis and DeMarcus Cousins. The East starters: James, Boston’s Kyrie Irving, Toronto’s DeMar DeRozan, Milwaukee’s Giannis Antetokounmpo and Philadelphia’s Joel Embiid. Draymond Green’s excited outbursts have drawn two technical fouls this season. Comment: The 2017 NBA Defensive Player of the Year is still playing at a top level. Green does much more than score for the team with the NBA’s best record. Paul George of the Oklahoma City Thunder handles the ball against the Golden State Warriors during the game at the Chesapeake Energy Arena on Nov. 22, 2017, in Oklahoma City. Comment: George’s scoring numbers have taken a dip playing alongside feared scorers Carmelo Anthony and Russell Westbrook. But P.G. is widely regarded as one of the NBA’s top players, so he’ll make it. Comment: Towns lands the first All-Star selection of his career in his third season. The 7-footer’s versatile game is too much to deny now. Russell Westbrook of the Oklahoma City Thunder looks at Houston fans after making a 3-point shot during Game 5 of the Western Conference quarterfinals on April 25, 2017, at Toyota Center in Houston. Comment: A little surprising that the 2017 NBA Most Valuable Player doesn’t get voted in as a starter. Perhaps it’s market. Here’s to hoping that Westbrook and his former teammate Kevin Durant play against each other under the new All-Star format. Comment: Butler has played on an MVP level in his first season with the Wolves. Kudos to Butler for landing a hard-to-get West All-Star guard spot in his first season in the conference. Klay Thompson of the Golden State Warriors in action against the Houston Rockets at ORACLE Arena on Oct. 17, 2017, in Oakland, California. Comment: Thompson may be quiet, but he also is the most feared shooter in the game behind his teammate Stephen Curry. The Warriors get four All-Stars for the second straight year. LaMarcus Aldridge of the San Antonio Spurs shoots the ball during the game against the Brooklyn Nets on Jan. 17 at Barclays Center in Brooklyn, New York. Comment: Aldridge is the main reason why the Spurs had one of the NBA’s top records in the first half of the season with star Kawhi Leonard primarily sidelined. Snubs include Damian Lillard, DeAndre Jordan, Lou Williams, Chris Paul, Devin Booker, Blake Griffin, C.J. McCollum and Marc Gasol. Comment: Porzingis gets the first All-Star nod of his young career and gives the New York market a representative. The Latvian is the lone European in the All-Star Game. The Boston Celtics’ Jonas Jerebko celebrates with teammate Al Horford during the second half of Game 3 of the Eastern Conference finals on May 21, 2017, in Cleveland. The Celtics won 111-108. Comment: Horford beats out Cleveland forward Kevin Love based on Boston’s record. This would be Gordon Hayward’s spot if he were healthy. Andre Drummond of the Detroit Pistons looks downcourt during a game against the Charlotte Hornets at Little Caesars Arena on Jan. 15 in Detroit. Comment: Drummond lands his second All-Star nod after being snubbed last year. It would be fun to see East center rivals Drummond and Embiid playing against each other. John Wall of the Washington Wizards waits to defend against the Boston Celtics in the second half of their game on April 16, 2014, at TD Garden in Boston. Comment: Wall’s biggest challenge appears to be staying healthy. While the Wizards are disappointing, he is a top-15 NBA player. Victor Oladipo of the Indiana Pacers brings the ball upcourt during a game against the Utah Jazz at Vivint Smart Home Arena on Jan. 15 in Salt Lake City. The Indiana Pacers won 109-94. Comment: Oladipo has been singing well off the court and on it. This will be his first All-Star nod. Kyle Lowry of the Toronto Raptors warms up before a game against the Portland Trail Blazers on Oct. 30, 2017, at the Moda Center in Portland, Oregon. Comment: Lowry’s statistics aren’t gaudy, but they’re respectable and the Raptors are winning. He will make his fourth All-Star appearance. Bradley Beal of the Washington Wizards looks on in the second half against the Minnesota Timberwolves on March 25, 2016, at the Verizon Center in Washington, D.C. Comment: Beal lands his first All-Star nod with the last East spot, but does disappointing Washington deserve two? Snubs include Dwight Howard, Ben Simmons, Kevin Love, Tobias Harris, Jaylen Brown, Goran Dragic and Kemba Walker. 12:18 PMMaking this as clear, and as concise, as possible. The Undefeated will be there. We hope you will too. 11:37 AMSoon, we’ll all get to see 13-year-old Storm Reid in Ava DuVernay’s upcoming A Wrinkle In Time. And she’ll be glorious — word to the icon that is Oprah Winfrey. 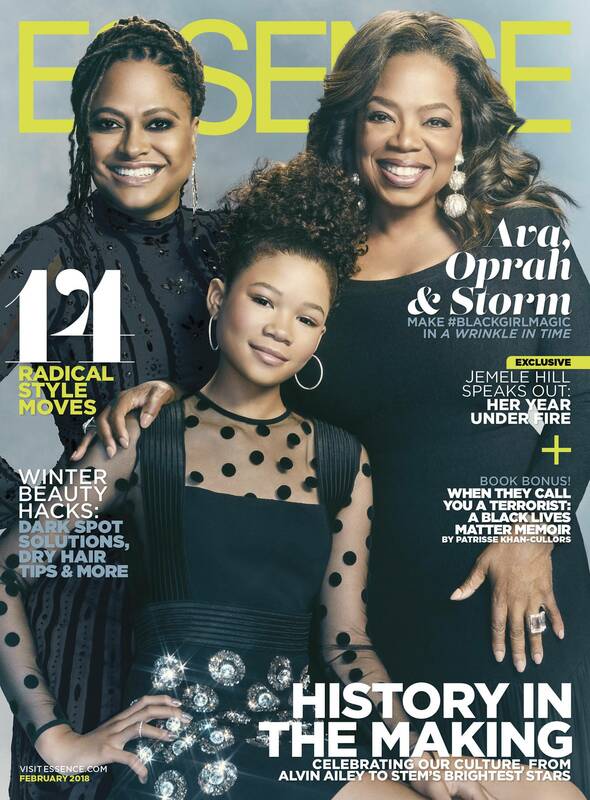 Reid, Winfrey and DuVernay all cover Essence’s February issue, where they talk about the power of imagination. Portland Trail Blazers guard Damian Lillard is no longer on a strict vegan diet after it became counterproductive. Lillard, a guest on the ESPN Hoop Collective’s RUN A.M.C. podcast recorded Wednesday, said his five-month run as a vegan has ended because he was losing too much weight. Lillard announced on his Instagram account on Sept. 5 that he had become a vegan with hopes of “getting my life right.” The two-time NBA All-Star reached his goal of getting back to his rookie weight of 190 pounds, but Lillard ended his vegan diet about a month ago because he lost 17 pounds. Lillard told OregonLive Sports on Sept. 25 that he had been vegan for a month and it allowed him to eat cleaner, create better habits, take more weight off his feet and feel much better. Portland-based newspaper/website Willamette Week also tweeted on Sept. 25 that Lillard loved vegan sloppy Joes and missed eating at Wendy’s fast food restaurants. After the 27-year-old struggled with his shooting the first six games this season, he dismissed a question from Comcast Sports Northwest in late October about whether his vegan diet was affecting his play. The 2013 NBA Rookie of the Year said he has added beef and chicken back into his diet. Lillard said he has stayed away from Wendy’s and he still eats vegan meals regularly. Other NBA players who have professed being vegan include Kyrie Irving, Enes Kanter, JaVale McGee, Wilson Chandler and Jahlil Okafor. 3:12 PMFormer NFL quarterback Colin Kaepernick announced on Jan. 17 that over the following 10 days he will donate the final $100,000 of his initial $1 million pledge to 10 organizations that are working to combat racial and social injustice across the country. Dubbed the “Million Dollar Pledge” in October 2016, Kaepernick has donated $900,000 of his own funds over the past year to 31 organizations “working in oppressed communities” and will end his financial commitment next week by giving away $10,000 a day to the remaining 10 groups. Some famous friends will match his daily donations. On Jan. 29, the ninth day of the pledge, Kaepernick and rapper Meek Mill donated a combined $20,000 to Youth Service Inc., a Philadelphia-based organization dedicated to offering “accessible, quality services to at-risk children and families” and “strengthening the family unit, helping at-risk teens and promoting child safety.” In November, Meek Mill, a Philadelphia native, was sentenced to two to four years in prison for violating the terms of his probation. The judge in that case, Genece Brinkley, is currently under FBI investigation for partial treatment of the rapper. The Undefeated will keep a running list of the final organizations to which Kaepernick decides to donate to complete his Million Dollar Pledge.